The new Tom Wishon Single Length Golf Clubs are called ‘Sterling® Single Length Golf Clubs’. This is no ordinary set of irons. The length of every iron will essentially be the same as either your 8, 9 or PW – all with identical lie angles. This in turn, will keep your address position and ball position in a very consistent position. The only real difference is in the loft. So if you are anything like me, you tend to find that you can hit your 8 iron very well, with great consistency. So now picture yourself with a 4 iron at an 8 iron length. Just doesn’t seem right but as you can well imagine it should be easier to swing than your long (possibly too long 4 iron). This is what the Tom Wishon Single Length golf clubs are all about. Making the long irons way easier to hit. 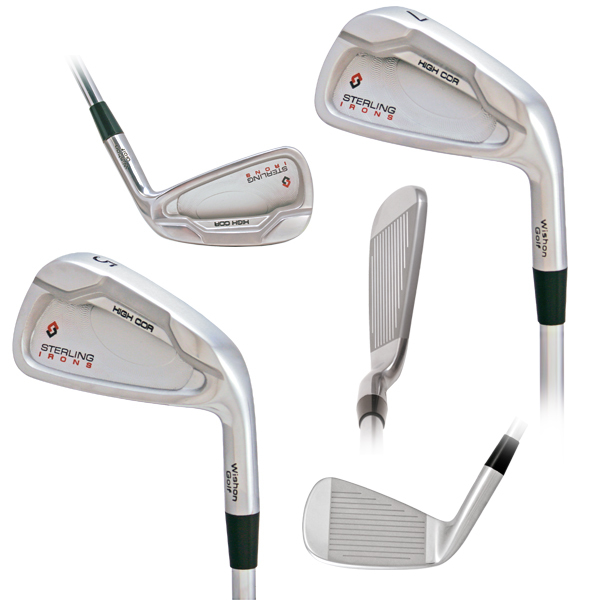 Every iron is the same length, same lie angle, same shaft frequency and the same total weight. The only difference if loft. The other side of the scenario is that your short irons may now be a little bit longer, as your gap and sand wedges will now be the same length as your 8 iron. Tom’s goal was to have a very playable complete set of clubs that will not only help the less skilled, but the skilled player may benefit as well. The 4, 5, 6 and 7 irons actually have what is considered a hotter face, so with the overall reduced club length, the ball still should travel the same distance down the fairway. Bryson Dechambeau, a skilled amateur that just recently turned Pro, has been using a set of Cobra Single Length golf clubs and has brought a great amount of attention to the Single Length Golf Club concept. His set actually has extremely upright lie angles (which I do not recommend for the average player), but the singular athletic address position is the key to his success. One swing plane for all his irons. Tom Wishon Single Length Golf Clubs may be just what you need to drive some consistency into your game. Shorter club lengths will improve the consistency of hitting the center of the club face, which will translate into a more consistent shot – for every iron. So as an added note – every advantage found in the Tom Wishon Single Length Golf Clubs, can also be found in a set of True Length Technology® Professionally fit and built golf clubs. True Length Technology® is my Award Winning Fitting System (Best New Fitting Idea – AGCP), which also promotes a singular athletic address position, but will have the advantage of slightly shorter long irons than a traditional set. The short irons could be slightly longer than a traditional set. One of the advantages of a True Length Technology® set is that there are 16 length charts available for adults, which means that there is a perfect length and lie combination for you. This is a solution for those that find the Single Length Golf Clubs concept to be just a bit too far off the traditional path. 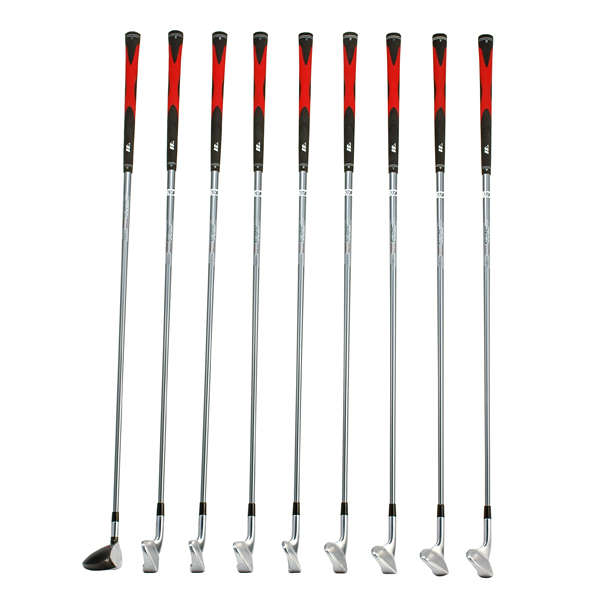 Tom Wishon Single Length Golf Clubs have no change in length, where True Length Technology® Golf Clubs will have near 2 to 2 1/2″ of total length variation whereas a traditional set sill have near 4″ of total length variation between the longest and shortest irons. Please visit Dan’s Custom Golf Shop to consider all your options. Dan Connelly is the owner of Dan’s Custom Golf Shop in Hampton, ON., and is the developer of both True Length Technology® and True Frequency Technology®.